VietNamNet Bridge – Given the rising number of foreign tourist arrivals to HCM City, the city’s tourism sector should focus on strengthening human resource training, diversifying tourism products, and promoting linkage with neighbouring provinces, the city’s Party Committee Secretary Nguyen Thien Nhan said. Speaking to the city’s Department of Tourism on Wednesday, Nhan said the city’s economic growth prospects were strongly driven by its tourism sector, which contributes 11 per cent of the city’s gross regional domestic product (GRDP). Although the number of foreign tourists has increased sharply over the past few years, their length of stay and spending in the city remained modest, Nhan said. Overseas visitors stayed for five days on average and spent at an average of US$145 a day, according to a recent survey jointly conducted by the city’s Department of Tourism and the Statistics Office. Nhan has instructed the tourism department to work with 54 travel and tourism training schools in the city to address the lack of human resource in travel and tourism. 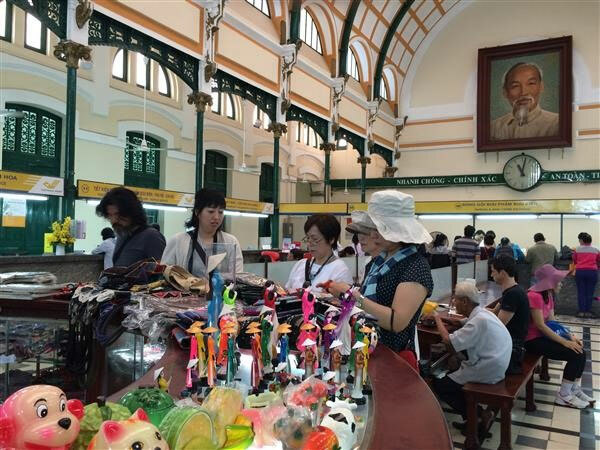 The city should set up areas dedicated to high quality Vietnamese products and souvenirs for tourists, he said. He asked the tourism sector to sign co-operation agreements with provinces in Cuu Long (Mekong) Delta to develop inter-regional tour packages. Bui Ta Hoang Vu, director of the city’s Department of Tourism, said the department would promptly map out its tourism master plan to 2030 with the support of foreign consulting firms. The department plans to increase usage of technology in tourism management, improve existing tourism products and develop new tourism products. Several travel firms said that it was vital to renew tourism products as well as explore nightlife attractions and activities for tourists. They asked authorities to strengthen security and safety for foreign tourists at destinations that attract huge crowds such as Nguyen Hue and Bui Vien walking streets. Shopping centres should be set up along boulevards such as Ham Nghi, Le Loi and Nguyen Hue downtown, they suggested.